Identity theft is an unfortunate reality for all of us, but seniors are especially vulnerable to scams, con artists and fraudsters, putting their wellbeing and finances at serious risk. For caregivers, family and anyone who works with the elderly, it’s important to be aware of these issues and provide senior loved ones with advice and assistance to help keep their personal information safe. Why are the Elderly More Vulnerable? There are two main reasons why seniors are targeted for identity fraud. They often have savings or investments, own their home and have good credit, making them a valuable target. They are also less likely to report fraud, often because they are unaware that they have been defrauded, or because they are simply embarrassed about the situation. What Can You Do as a Caregiver or Family Member? If a stranger or acquaintance expresses interest in their financial history, social security information or other sensitive information. If a caregiver, friend or family member expresses sudden interest in their financials or wants greater input into their spending, bank account access etc. It’s also important to remind senior loved ones not to share sensitive information (social security or financial) with anyone, especially unsolicited telephone callers, door-to-door salespeople or contractors. Any suspicious activity on bank and other accounts should be reported immediately. There are many savings options available that can be used as part of your estate plan, and a 529 plan is one of these options. 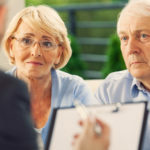 Here are some insights from your estate planning attorney in New Jersey. This is a college savings plan that is exempt from federal taxes. Introduced in 1996, they are designed to help taxpayers to save more effectively for college expenses. Anyone over the age of 18 can open a 529 plan, whether it’s to save for your child or grandchild’s education, or for your own. There are two types of 529 plan – a prepaid tuition plan and a college savings investment plan. The one plan is locked to current tuition costs, while the investment plan allows your savings to be invested in widely-held mutual funds to be managed by an investment firm, giving your money the best chance to grow and cover the optimal amount of college costs. Each state has its own policies regarding these plans, but they are all subject to federal policies regardless of where you opened the plan or how your account is managed. This means that the account can only be held by one person and can only benefit one person (the beneficiary can be a different person to the account holder). There are no income restrictions on who can own or pay into a 529 plan, and they are not subject to gift taxation. There are no federal income tax benefits for contributing to a 529 plan, but the benefit comes in the form of the growth of your investment, which is tax-deferred. You also won’t pay state or federal taxes on money that is withdrawn from the account to be used for qualified college expenses. What if My Child Does Not Go to College or Require the Funds? If your beneficiary is unable to go to college, chooses not to go or wins a full ride through a scholarship program, what happens to the money in a 529 plan? In these situations, you have a few options. Firstly, you can change the beneficiary of the plan to someone who does need it or hold onto the plan until you have a grandchild. Secondly, you can combine your plan with another plan once a year, giving another child greater coverage of their college expenses. Thirdly, you can use it for non-educational purposes. This last option does mean that you’ll have to pay income tax on the money the investment earned (not the full amount) along with a 10% penalty. Frank R. Campisano is an experienced estate planning attorney with a long history of service and loyalty to his New Jersey clients. In addition to assisting you with creating, storing or updating your Last Will and Testament, he can assist you with 529 plans, college savings strategies, developing trusts, healthcare proxies, Power of Attorney documentation and much more.